Wendy Whited Sensei holds the Aikido rank of nanadan (7th dan). She began her study of Aikido at Northern Illinois University in January, 1973 after studying Judo for a year. After college, she continued her training at the Illinois Aikido Club in Chicago. With other club members, Whited Sensei met Saotome Sensei at the Winter Seminar in January of 1976. Subsequently Saotome Sensei sent one of his students, Shigeru Suzuki Sensei, to teach at the Chicago dojo. Whited Sensei trained with Suzuki Sensei until his return to Japan. She was also awarded a shodan in Iaido. In July 1978 she visited Japan for the first time, training with Hikitsuchi Sensei in Shingu for three weeks. Having fallen in love with Japan, in 1987 she responded to an ad for the Japanese Exchange of Teachers Program (JET); she spent two years in Funabashi, Chiba Ken and taught in forty-four different junior high and five different elementary schools. She got very good at riding trains and buses. On her return from Japan, she took up Shorei Ryu Karate while continuing to attend Aikido seminars. 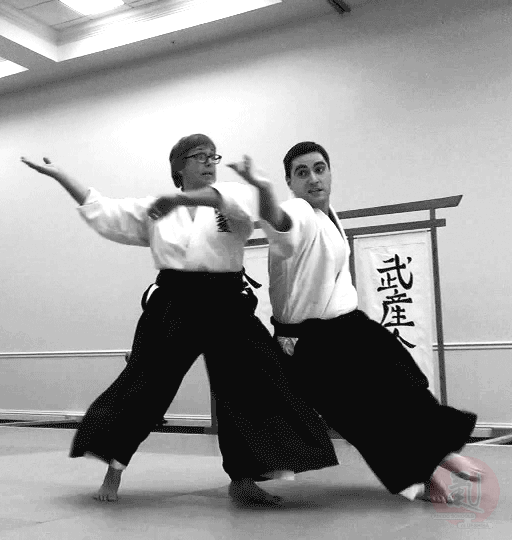 In 1990 she began teaching at the University of Chicago Aikido Club until, in 1992, she received permission to start Inaka Dojo in the bustling metropolis of Beecher, Illinois (population 2,000). Since retiring as an eighth grade teacher and principal, Whited Sensei has been able to return to Japan for several weeks almost every year. She has been honored to teach at the Kumamoto Bridge Seminar and has visited Hombu Dojo where she trained while she lived in Japan. Currently, Whited Sensei teaches at Inaka Dojo in Beecher and the Kofu Juku Dojo in New Lenox, Illinois. She indulges her love of travel by attending seminars all over the United States and has been honored occasionally by being asked to teach at the ASU summer and winter camps.